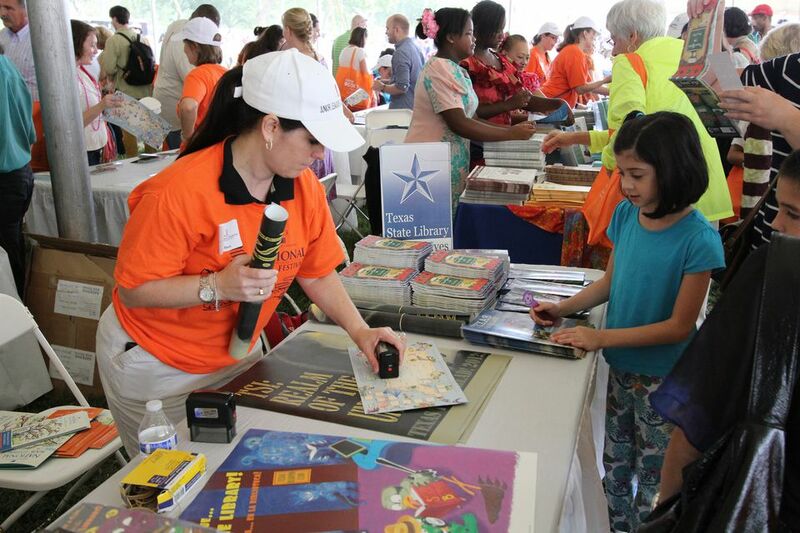 The Washington DC area hosts many annual book festivals and literary events highlighting the works of local and national authors. As the capital region ranks among the most literate areas of the country, it is home to many renowned writers and attracts best-selling authors from around the nation to attend these events and share their craft with the community. The following is a guide to the largest book focused events in the Washington DC area. All events are free and open to the public. Each spring Downtown Bethesda hosts the annual event featuring local and national authors, journalists and poets, essay, short story and poetry contests, and children’s events. Events are held at several Bethesda venues. The neighborhood street festival celebrates the International Day of the Book with live music, author readings, open mic, children’s activities, storytellers, and lots of books. Local authors, illustrators, publishers, booksellers, and literary groups discuss and sell their works. The event has a selection of over 30 local authors ready to sign, discuss, and read their works. Included are over 10 exhibitors ranging from local publishers to local reading and writing non-profit organizations. Authors of both national and local acclaim interact with readers at an all-day festival on the grounds of Gaithersburg’s City Hall. The event includes writing workshops, exhibitors, book sales, book signings, children’s activities, poetry readings, and musical entertainment. The largest book festival in the DC capital region is sponsored by the Library of Congress and features more than 100 award-winning authors, illustrators, and poets who talk about and sign their books. National Book Festival Pavilions exhibit Fiction & Mystery, History & Biography, Children & Teens, Poetry, Home & Family, Urban Fiction and Graphic Novels. The week-long regional festival is Northern Virginia's oldest and largest celebration of literature and the arts with events at George Mason University's Fairfax, Virginia Campus and at locations throughout Northern Virginia, Washington DC and Maryland. The festival connects readers and authors at all levels, offering book lovers the chance to meet and greet their favorite writers. The three-day festival celebrates the evolution of the book as art and connects international artists, scholars, collectors, publishers, and art lovers. The fair features special behind-the-scenes tours of DC print and book arts collections, contemporary print and book art exhibitors, specialty marketplace, a curated exhibition, notable speakers, demonstrations, and more. Visit These Spots During the Francophonie Festival in Washington, D.C.